Mark is also sometimes identified as the man who carried water to the house where the Last Supper took place (Mark 14:13) and/or as the young man who ran away naked when Jesus was arrested (Mark 14:51–52). Mark’s authorship is often considered genuine because it is unlikely that the early church would have assigned the creation of a Gospel to a person of secondary status. John Mark was neither an apostle, nor a person of high prominence in the early church. Mark assumes that the very earliest audience may recognize the names Alexander and Rufus as the sons of Simon of Cyrene, who carried Jesus’ cross (Mark 15:21). Rufus is mentioned as a leader in the church in Rome by Paul (Rom. 16:13). The book was probably written in 60-68 AD, during Nero’s persecution of the Christians in Rome or the Jewish revolt, as suggested by internal references to war in Judea and to persecution. Mark writes to an audience of believers to help them better understand Jesus as the one anointed by God who came to usher in the new age, the rule of God, the kingdom of heaven—the messiah. Note that Mark is not making a case to non-believers to convince them that Jesus is the Christ, rather he is writing to strengthen the faith of a community of first century, persecuted Gentile Christians. Mark confirms Jesus’ true messianic identity by showing that though he was (1) a genuine miracle worker above other miracle workers (and not a magician or crazy person as his enemies charged); (2) the true Son of God (not just a “divine man” but also God’s appointed enthroned ruler); (3) the prophetic Son of Man, both in a humble sense (as in Ezekiel) and eschatological sense (as in Daniel); (4) that all these titles/identities can only be seen clearly understood through the lens of the cross. The Gospels are essentially the memoirs of the apostles and disciples of Jesus. They recall the facts about Jesus, the teaching of Jesus and are meant to be a witness to Jesus (Fee), but they are not a full account of Jesus’ life. Gospels are not biographies. They are biographical, but they are not biographies in the modern sense. The Gospels were written to meet the needs of a particular community of believers. The authors of the Gospels were selective and adaptive in their style. They focused in on the narratives and teachings that best suited their purposes. Many sayings of Jesus were passed around for years as stories (pericopes) without much context. Therefore the primary saying, or point, of the story was what was preserved, not necessarily the full context of the saying. For instance, Paul quotes Jesus talking about his body and blood being represented by the bread and the wine as a sign of the new covenant in his letter to the Corinthians (likely written before or concurrent with the Gospels) without much context. There’s only the mention of “on the night he was betrayed” (1 Cor. 11:23) but no mention of the upper room, the disciples present, the timing of the Passover feast, etc. Paul used this saying in a new context to correct the Corinthians in how they conducted themselves while eating the Lord’s supper. The Gospel writers likely did the same thing; used a saying of Jesus without much context to make a point to their readers. This may account for discrepancies in the usage of a saying, chronology of an event, or even repetition of an event/saying among the Gospels. The Gospels are focused on explaining the messiahship of Jesus and the coming of the kingdom of God, as opposed to, say, Jesus being a carpenter, teacher or friend. The facts and stories they tell of Jesus all are meant to legitimize his claim to be the anointed one of God. Overall, the identity of Jesus (as ultimately understood by his death and resurrection) is the focal point of Mark’s narrative. Peter’s confession of Jesus as the messiah midway through the gospel (Mark 8:27–30) is the turning point of the book anyway you look at it. With over 1/3 of the content focused on Jesus’ last week, it has been often said that Mark is a passion narrative with an extended introduction. A reading of Mark through this lens would emphasize Jesus’ call to his disciples to “follow me” (1:17) first by accepting his power (as shown by miracles), his authority (as shown by conflicts with the Pharisees and Teachers of the Law), then his identity as messiah (even if not fully understood), then as willing participants to take up the cross and follow him. A structure of this type of would also serve to de-emphasizes Jerusalem as the center of Christianity as Jesus tells the women after his resurrection to tell the disciples “He is going ahead of you to Galilee”. In other words, Jesus is going to continue working elsewhere. First Act: action builds until a point of crisis. Second Act: the tension would be diffused as conflicting parties put their individual plans into action. Third Act: the clash of the plans produced an overturning of the situation that prevailed in favor of a new one. Mark’s drama centers around the identity of Jesus. “Who is this man?” Is a common question asked by everyone he encounters. C — Jesus taught them saying, “Is it not written: ‘My house will be called a house of prayer for all nations’ ? Here the point of the story of the fig tree is to emphasize and illustrate of the fruitlessness of Israel’s worship practices. Mark tends to group events in threes (three healings after calling Peter and John as disciples, three events challenging the Sabbath after calling Matthew, etc.). Mark starts the Passion “when it was evening”, or approximately 6 pm. The traditional duration of the Passover meal was three hours, So Jesus left for the Mount of Olives around 9 p.m. In the garden, the disciples were not able to remain awake. “Could you not watch one hour?” Jesus asks them three times. Judas’ betrayal, therefore, would’ve occurred at midnight. Jesus was taken to Pilate “as soon as it was morning” likely 6 am. Jesus was crucified on “the third hour,” or 9 am. Jesus was taken down from the cross before 6 pm, before the sun went down. The title of Son of Man has its roots in the Old Testament, in particular: Ezekiel, the Book of Enoch, (a popular Jewish apocalyptic work of the period), and Daniel (7:13–14). It has been suggested that Jesus used the term Son of Man to define himself as a counterpart to the designation of Son of God. The title of Son of God affirms the divinity of Jesus. The use of term Son of man affirms his humanity. A strong theme in Mark is of Jesus as the “suffering just one” portrayed in many of the books of the Old Testament (Jeremiah, Job, the Psalms, and especially in the “Suffering Servant” passages of Isaiah). This is in contrast to the Jewish expectation that the messiah was to conquer God’s enemies through military might. The messiah was not supposed to die. He was supposed to reign, as a literal king, forever from the temple. Note how in the arc of Mark’s gospel narrative Jesus goes from being surrounded by massive, pressing crowds astounded by all he does and says, to dying alone, cursed and derided, on a cross. Over and over again in Mark’s account the disciples fail to understand what Jesus is teaching or doing. This pattern of God’s followers failing to understand him reflects the Old Testament theme of God’s love being met by infidelity and failure, only to be renewed by God. In the historical context in which the gospel was written, the persecutions of the Christians of Rome under Nero, the failure of the disciples and Jesus’ denial by Peter himself would have been powerful symbols of faith, hope and reconciliation. To exemplify this, the pivot point of Mark’s gospel—the moment in which Peter confesses that Jesus is the Messiah—is preceded by the story of the healing of a blind man who needs to be twice touched to truly see (8:22). Thematically, Mark implies discipleship requires a second touch (i.e. Jesus’ death and resurrection) for understanding. Experiencing the Christ through miracles isn’t enough. One must also experience his suffering to truly understand Jesus. Note in this same passage how a disciple’s success (Peter’s confession) is followed by his failure (Jesus rebuking him as Satan) when he says that Jesus doesn’t need to suffer and die. Peter, in what Mark indicates to be mere moments, goes from acknowledging Jesus as the Savior to being accused of working against God. To Mark, the cross is key to discipleship, both as a filter for understanding Jesus, but also as a way of life. Throughout Mark, Jesus continually tells people (in particular people he’s healed, or the demons he’s healed them from) not to tell anyone who he is. William Wrede called this the “Messianic secret” – Jesus’ secrecy about his identity as the messiah. In Mark, it is the marginal characters who often recognize Jesus for who he truly s first. It is the demons, the women, the pagan Romans who are most likely to call Jesus the Son of God. Unlike Matthew and Luke, but like John, Mark expressly identifies Jesus’s origins as being “out of Galilee.” Mark makes no mention of Jesus’s birth, his father, ancestors, or any connection to Bethlehem. Mark emphasizes Jesus’ action more than his teaching (18 miracles, and 4 parables). The word “immediately” occurs 39 times. How do we view discipleship? Just as the blind man needed Jesus to touch him twice to see clearly, what “second touch” do we need to see Jesus clearly? What notions of Jesus do we bring to the text? How’s does Mark’s portrayal of Jesus challenge us? What did Mark leave out of his gospel that we wish we knew? Why? Peter’s told that because of this Cornelius business, he’s got some ‘splaining to do. Barnabas assessed the sitch and found it to be cool. Barney then went and found his old pal Saul and brought him back to Antioch where they began preaching and saving folks. The city was not only known for its sophistication and culture but also for its vices. In the city was a temple dedicated to Apollo surrounded by a laurel grove dedicated to Daphne. Daphne was a female nymph associated with fountains, wells, springs, streams, etc, who fatefully attracted the attention of the god Apollo. Apollo chased her down, and just before being overtaken, Daphne pleaded to her father, a rivergod, for help. So he transformed Daphne into a laurel tree. To commemorate this myth “Seleucus I had constructed the Groves of Daphne, wherein was the mighty temple of the Pythian Apollo. It was a center of vice, featuring the harlot-priestesses of Daphne and Apollo who on occasions engaged in public ceremonies ‘stripped of clothing. '” (Coffman) In these laurel groves, the temple priestesses would be pursued by “worshippers” without the good fortune of being turned into shrubbery. This was probably for several reasons. First, The term “Christian” was most likely a derogatory term made up by the residents of Antioch (who apparently liked to make up these types of nicknames). “‘Christians’, or Cristianos in Greek, was coined to distinguish the worshippers of Christ from the Kaisarnarios, the worshippers of Caesar.” (Wuest, pg 19). Though Cristianos literally means “made after the pattern of Christ” or “followers of Christ” or “the party of Christ,” which sounds good on the surface, it is the contrast it provides within that culture that is negative. If these people follow Christ then it means they don’t follow Caesar. If they don’t worship Caesar then they are against the empire. If they are against Caesar, they want to ruin the status quo and maybe even overthrow Rome. Secondly, being given the new designation of “Christian” would’ve opened the door for formal persecution: “As long as it is seen as another variant of Judaism, the church is better able to obtain protection from Rome as a religio licita — a legal religion. Judaism has long enjoyed such protection, and it would be helpful for the church to continue to claim that umbrella for itself.” (GCI) But if it is a new religion, particularly one that looks to usurp Caesar’s authority, then according to Roman law it can (and should) be squashed. Luke emphasizes that it was circumcised believers who had a problem with Peter, not the whole Jerusalem church (Longenecker). This was a select group of Jewish believers who were particularly zealous for the law. Note that Peter does not fully repeat his sermon to his accusers. “He rests his defense, not on what he said, but on what God did” (Furneaux). Fear of tainting the holiness of the church may have caused the Jerusalem mother church to acknowledge James as its leader, rather than any of the apostles. James was known to be a scrupulous practitioner of the Torah, for which he is called “James the Just,” or “James the Righteous.” He enjoyed a good reputation with the Jewish community, which would’ve helped diffuse any potential crisis with the Sanhedrin. The debate over wether the Gentiles christians needed to be circumcised (and follow the Mosaic Law, in general) raged on for decades after this event. Why didn’t Peter’s vision and actions resolve it once and for all? Why do you think Paul never relays the story of Cornelius in his letters as justification for how he thought about Gentile converts? This issue split many churches in its day. Do we have a similar debate going on in our churches today? What is it and how can it be resolved? We don’t know the names of the people who first took Christianity to the Greeks in Antioch after Peter’s encounter with Cornelius, nor do we know the names of the people who opposed Peter when he got back in Jerusalem, but both anonymous groups represent two ends of the spectrum: the early adopters and the protective traditionalists. Which side would you find yourself on in a similar situation? What is the benefit to the church of you being on that side? What is the benefit of you being on the other side? A surprising amount of generosity is shown by the fledgling church in Antioch towards the “mother church” in Jerusalem. Are we still this generous? Do we still see churches across the world this connected and caring for each other? Why? Why not? Prophets were an important part of the early church. Why do you think we don’t talk about them much? What is it about 21st century, Americanized Christianity that finds the idea of prophets predicting the future unpalatable? Christians eventually came to be known by an name that was originally intended as an insult. What insulting term(s) would our society label Christians as today? Are any of those labels worth wearing? The first difference between these groups was language. Hebraic Jews spoke almost exclusively Aramaic (the language of the homeland), whereas the Hellenistic Jews spoke Greek (the language of the Gentiles/invaders). Secondly, though both of these groups lived in Jerusalem, the Hebraic Jews had lived for many generations in the nation of Israel whereas the Hellenistic Jews were part of the Diaspora, and had more recently returned from abroad to settle in Jerusalem. Third, the Hebraic Jews tended to be traditionalists and whole-heartedly rejected Greek/Gentile culture, but the Hellenized Jews felt they could include many elements of Greek culture into their lifestyle** and still be true to their beliefs. One can imagine that the Hellenized Jews thought they could help their old-school, traditional brethren update their primitive beliefs/practices by incorporating elements of modern Greek culture. Conversely, the established Jewish community felt that any Jews who were willing to assimilate into the surrounding culture were giving up on Judaism. The Hellenistic Jews would advocate the pursuit of modernity. The Hebraic Jews would advocate that no good Jew would ever abandon their original culture, history, and religion. The early church had started to build a charitable infrastructure quickly as indicated by the earlier chapters in Acts where people shared their possessions (2:44) and sold their possessions (4:34) so that no one was in need. The daily “soup kitchen” described in this chapter gives us a sense of how that manifested itself on a day to day level. No doubt with several thousand members now part of the church it took considerable effort to manage the requests for help and the money offered to help. To make matters worse, immigrant widows from the Diaspora would probably be especially needy. They’d be less likely to have local family around to help, and if there was a language barrier they’d have a hard time understanding how or where to get help. In the Jewish synagogues at the time, three men were appointed to care of the poor, especially the widows, orphans and foreigners (groups of people God was explicit about caring for–see: Deuteronomy 10:18;14:29; 16:11, 14; 24:17, 19-21; 26:12-13; 27:19; Malachi 3:5; Isaiah 1:17, 23; 10:2; Jeremiah 5:28; 7:6; 23:3; Ezekiel 22:7; Psalm 93:6). They were called by the Hebrews Parnasin or Pastors and they distributed a weekly quppah, or poor basket of food and clothing. From these existing practices the apostles took the idea of appointing “servants” (sometimes translated deacons) in the early church. They most likely appointed seven men so that each person could be responsible for a single day of the week. The number of people appointed to oversee the program, and the fact that it was daily rather than weekly✢, may be an indication of the magnitude of the needs they were trying to fulfill. The needs may also have been magnified by the fact that the temple/synagog funds were probably being withheld from widows who became Christians. This is the first mention of this practice in Acts. The laying on of hands accompanies several other important events including baptism (Acts 8); healings (Acts 9, 28) and the commission to ministry (Acts 13). In the Old Testament the laying on of hands generally symbolized a conferring of office and responsibility (Numbers 8, 27). The actual placement of hands is done by a few individuals, but they did so on behalf of the whole community. The same thing is true in Acts as the apostles lay hands on the seven men signaling that the whole church approved of them. This wasn’t done to impart any special power or ability, but to designate that they had received the authority/approval of those who laid their hands on them. To “speak blasphemous words against Moses” refers to contempt for the temple and its rituals and to be disrespectful of the Torah (“the law of Moses”). As indicated in chapter 7, Stephen is declaring that salvation comes through Jesus and therefore the system of worship centered on the Jerusalem temple is no longer needed. The Jews saw the temple as the foundation and focus of Jewish life, worship and salvation. The Temple was where God lived, and was the only place where a sacrifice could be offered. The Law could never be changed. Stephen was saying that the Temple would pass away (and was never where God lived to begin with), and that the Law was but a stage toward the Jesus. It is used in the Old Testament to denote peculiar wisdom, 2 Samuel 14:17; 19:27, or the impression which will be produced on the countenance by communion with God; a look of calm serenity and composure. The apostles do not ignore the problem with the widows, nor chastise the widows for complaining. Nor do they try to hold on to this important responsibility, because they can do it only if they neglect their duty to preach. The seven men all have Greek names, indicating that they are probably Hellenists themselves; the people (and the apostles) show great sensitivity to the offended Hellenists by appointing Hellenists to take care of the widows’ distribution. Nicolaus, the last-mentioned of the seven, is a convert (proselyte) to Judaism from paganism. Only full converts are called proselytes. They are instructed in Judaism, baptized and circumcised. “Deacon” is not a title in this context. It is a verb, not a noun. It means “servant.” One speculation on the origin of the word is that it means “through the dust,” referring to the dust raised by the busy servant or messenger.This group is formally named as the Seven (Acts 21:8), even as the original apostles are called the Twelve. In effect, the office of the Seven is as unique as that of the original apostles. The same Greek word is used for both distribution (Acts 6:1) and ministry (Acts 6:4). The idea behind the word in both instances is service. The punishment for blasphemy was stoning to death. Curiously, this is similar to the charge brought against Jesus. Not more than a few months ago, this same Sanhedrin heard testimony that Jesus said he would destroy the temple and build it again in three days (Matthew 26). Who is being overlooked by the church today? Are there any deep-rooted prejudices we’re using as a filter to decide who gets help and who doesn’t? The widows did the right thing by making their need known, the apostles did a good thing by realizing they don’t have the bandwidth to fix it themselves, and the Seven did a good thing by taking on a relatively simple task as a ministry. Is this a formula to solve disputes in the church? How do we resolve them now? Where were Peter and John at this crisis? Apparently Stephen stands alone before the Sanhedrin as Jesus did. Why didn’t Gamaliel speak up again? What was inaccurate about the charges brought against Stephen? What was accurate? Why did the apostles insist on choosing holy men just to hand out food to the poor, then give them such a ceremonial blessing? What does this say about the importance of these types of ministries to them? What does it say about the importance of unity and fairness in the church? Do we treat similar problems the same way today? *Interesting side note: “The mention of Cilicia suggests this may have been Paul’s synagogue before he was converted. He came from Tarsus in Cilicia.” (Lovett) This may explain why Paul (then Saul) was present at the stoning. He may have also been present as a student of Gamaliel (a member of the Sanhedrin). Paul may have tried his wits against Stephen, a Hellenistic Jew (don’t forget, Paul saw himself as a “Hebrew of Hebrews,” a devoted Pharisee at the time) and lost, which may have fueled his hatred and subsequent persecution of Christians. **Some commentators note that the Hellenistic Jews were willing to violate Jewish law to fit in with Gentiles by reversing circumcisions so they would fit in at the gymnasia. ✢The distribution of provisions to the poor may have been part of the “agape feasts.” As Joachim Jeremias describes it in his book: The Jerusalem church assembled daily, probably in the evening, where they listened to the Twelve’s teaching, prayed, ate together, and distributed goods to the needy. With regards to the commissioning of the Seven: this was a ministry (feeding the widows) that taken seriously not just because of the immediacy of the need, but because of the emphasis put on this responsibility by God (see numerous Old Testament quotations above). Taking care of the widows was something God instructed his community to do over and over and over again. The next question that came up was: Which instruction(s) reiterated time and again by Jesus should the church be appointing people to run with now? The suggestions ranged from more traditional church appointments like church planting and missions, to jobs/ministries/positions that aren’t clearly defined in the church like: loving one another, breaking down barriers between people, and helping individuals utilize their full talents. Luke is generally considered to be the author of the combined volumes of the Gospel of Luke and Acts. Scholars think that the composition of the writings, as well as the range of vocabulary used, confirm that the author was an educated man. Luke is thought to have been an eyewitness to several of the incidents in Acts based on the pronoun changes from the first to the third person (the “we” passages) in Acts 16:10; 20:5; 21:1. The phrase can be translated as “your excellency, Friend of God (or Loved of God)” and may refer to a prominent official in the government. In Acts, Luke uses the same title (“most excellent”) to refer to the Roman governors Felix and Festus (23:26; 24:3; 26:25). Other’s think that Theophilus may have been Paul’s lawyer during his trial period in Rome. Some think that Theophilus was not a person. The word in Greek means “Friend of God” and so Luke was writing to anyone who fits that description. Tradition holds that Paul was freed from Roman prison in the mid 60’s, only to be later re-imprisoned and ultimately martyred (c. 68 AD). Why Luke would’ve intentionally left out these significant events about someone he spent the entire second half of Acts focused on seems unusual, but still, many scholars believe that Luke-Acts was written much later (80-110 AD). Luke frequently defends Paul against accusations that he was preaching against Judaism. Luke communicates to us that Paul did not teach Jews to abandon their traditions, nor did he abandon them himself–Paul participated in Jewish rituals both in Ephesus and in Jerusalem. According to Luke, Paul only preached to Gentiles when the Jews didn’t listen. Also, Luke reiterates three times that Jesus miraculously called Paul and commissioned him as an apostle. Acts is a selective history. Luke does not attempt to chronicle all the actions and events of the early church. In fact, he focuses in on a narrow number of people and highlights only key events in their ministry. Of the twelve disciples, Luke spends the most time on Peter, and the majority of the second half of the book features Paul almost exclusively. God was most likely doing a great number of other things through other believers at this time that did not fit the purposes of Luke’s narrative. Some commentators have outlined the book geographically, using a formula Jesus gave his disciples: “You will be my witnesses in Jerusalem, and in all Judea and Samaria, and to the ends of the earth” (Acts 1:8). (GCI) Thus, Luke shows the migration of Christianity outwardly from Jerusalem in a similar pattern. At the highest level, the book traces the geographic movement of Christianity from Jerusalem, the center of the Jewish nation, to Rome, the center of the Gentile world. Luke also wants to explain how Christianity moved from its Jewish foundations to spread to the Gentile world. (GCI) He starts with the church as only having Jewish members, then shows how believers branch out to include Hellenistic Jews, Samaritans, and eventually Gentiles. Acts 15, the very middle of the book, highlights the pivot of the church towards a primarily Gentile population as Luke outlines the Council of Jerusalem’s decision to include Gentiles into Christianity without requiring them to follow traditional Jewish rites and practices. Luke draws several parallels between Jesus, Peter, Paul throughout Acts. Luke is reiterating that salvation wasn’t just for pious Jews, rather it was for the everyman (publican, tax collector), and even the Gentiles. The age of fulfillment predicted in the Old Testament has dawned, the promises have been fulfilled, the Messiah has come. This has taken place in Jesus of Nazareth. The church is witness to these things. The Holy Spirit in the church is now the seal of Christ’s present power and glory. Jesus will come again for judgment and the restoration of all things. Therefore, all who hear should repent and be baptized for the remission of sins. God’s work had entered a new phase; things would never be the same again. Old patterns, law, practices, and the rest could and must be reevaluated. 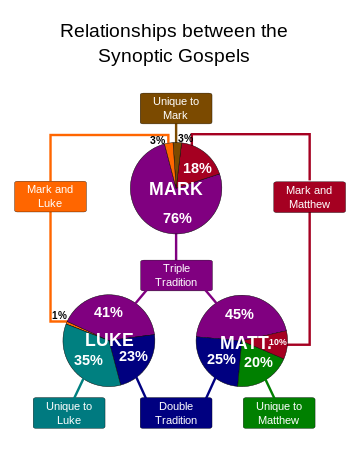 Luke-Acts together account for nearly a third (27.5%) of the New Testament. Why do you think Luke narrowed his history to primarily focus on Peter and Paul’s efforts to build the kingdom? Who else would you have liked Luke to write about? Whose acts does this book really record? What title would you have given it? How can we read this to determine what should be normative for the church and what was unique for that place and time?